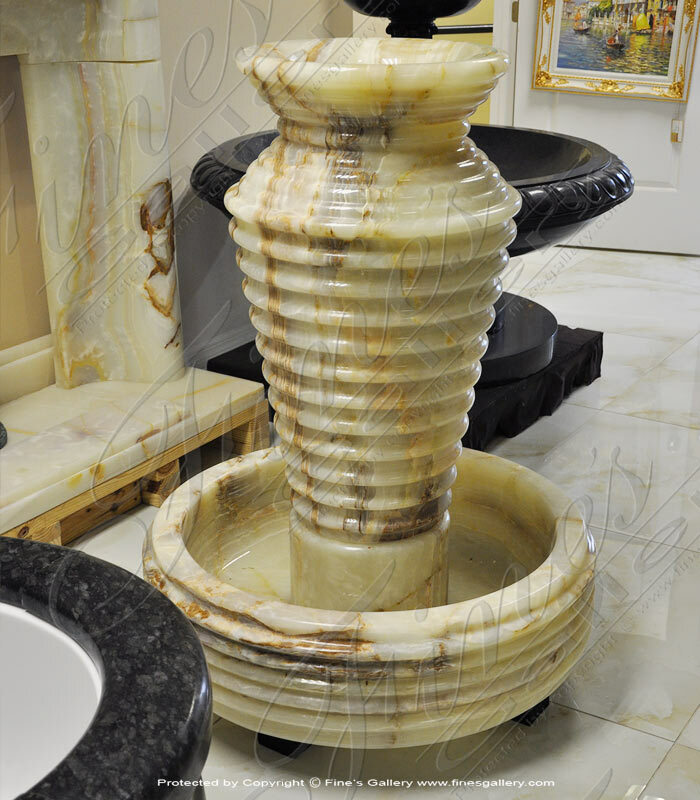 Create an atmosphere of sleek sophistication and modern elegance in your business with this marble fountain. 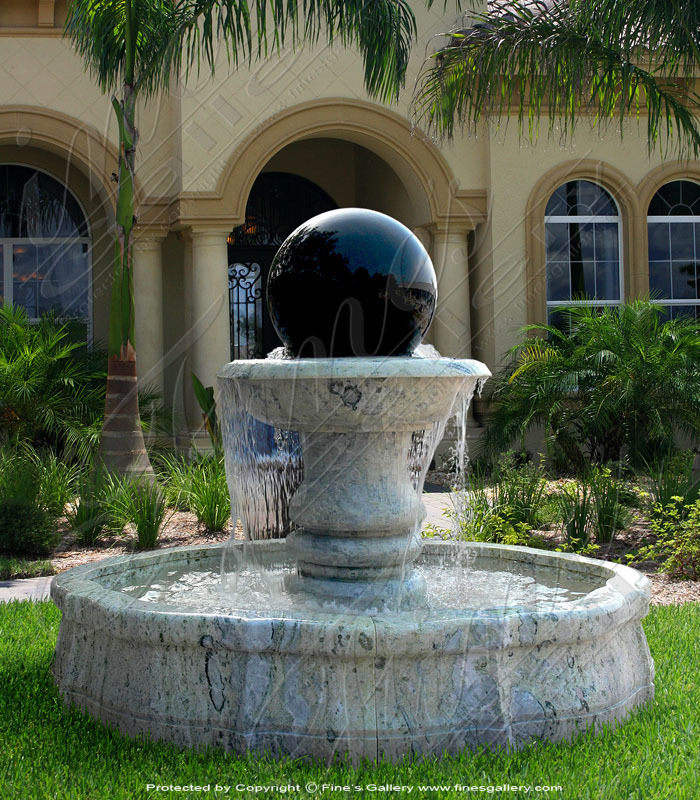 A large black globe is perfectly balanced within an angled basin, as waterfalls pour everlasting into a matching pool. 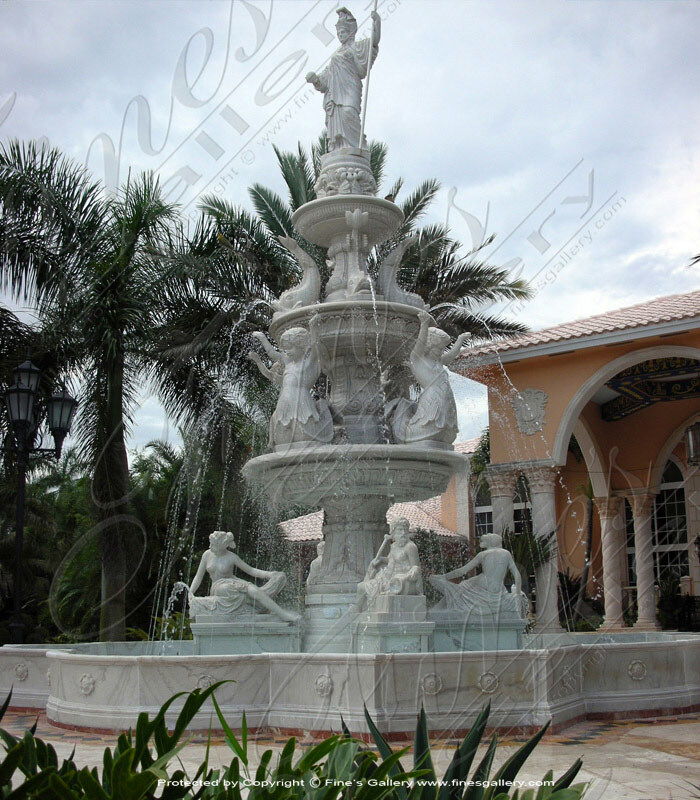 Dimensions: H: 64" W: 95" D: 95" View Colors Call Us! 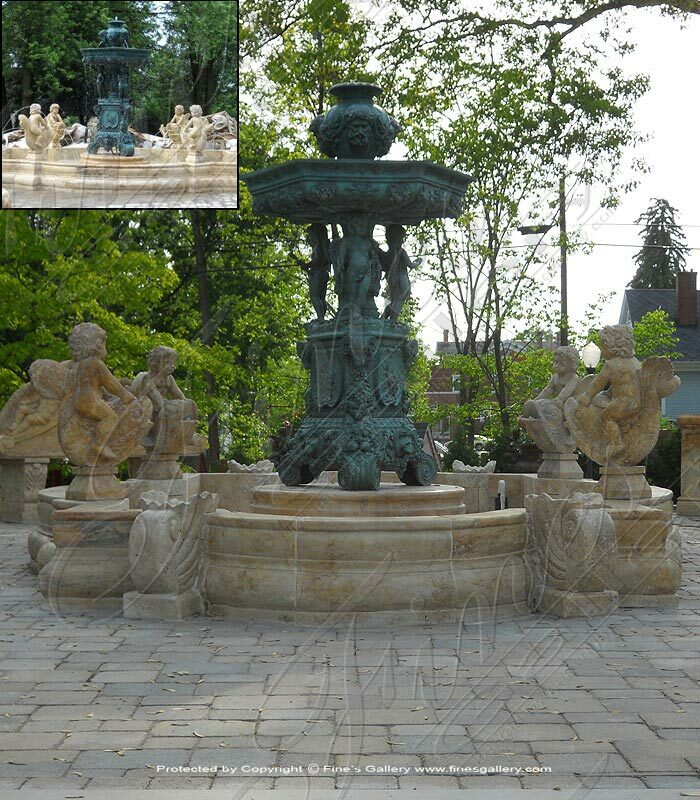 Dimensions: H: 56" W: 60" D: 55" View Colors Call Us! 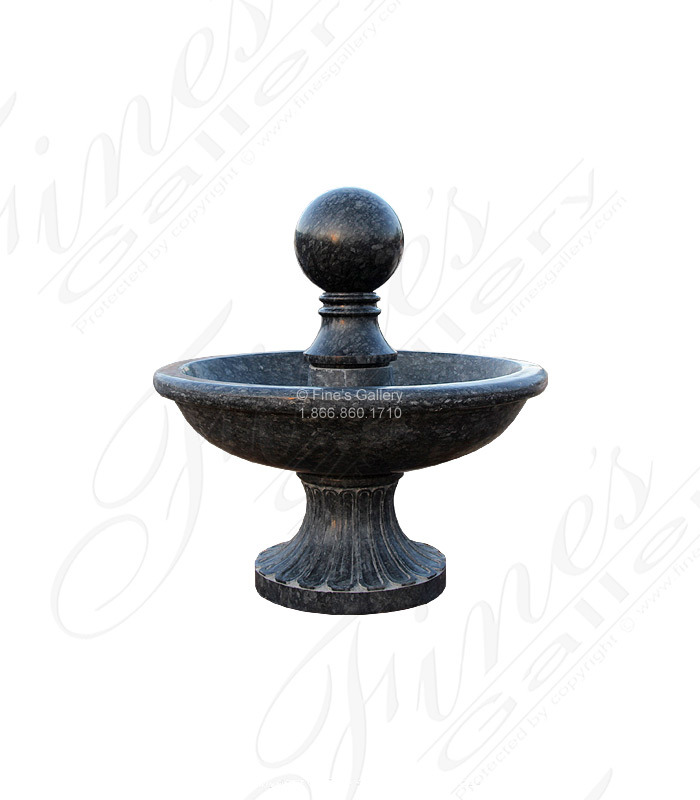 This sphere, comprised of Empador Black marble,creates a calming visual effectassoftlyfallingwater gently and steadily flows from tier to tier. 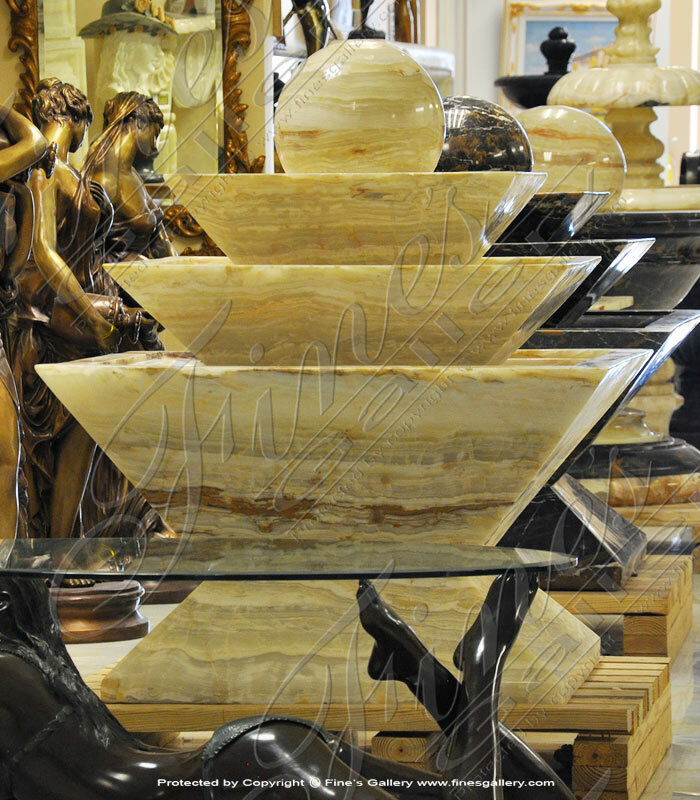 An exciting marble treasure to enjoy in the luxury of your own home. Contact us today. Dimensions: H: 55" W: 72" D: 52" View Colors Call Us! 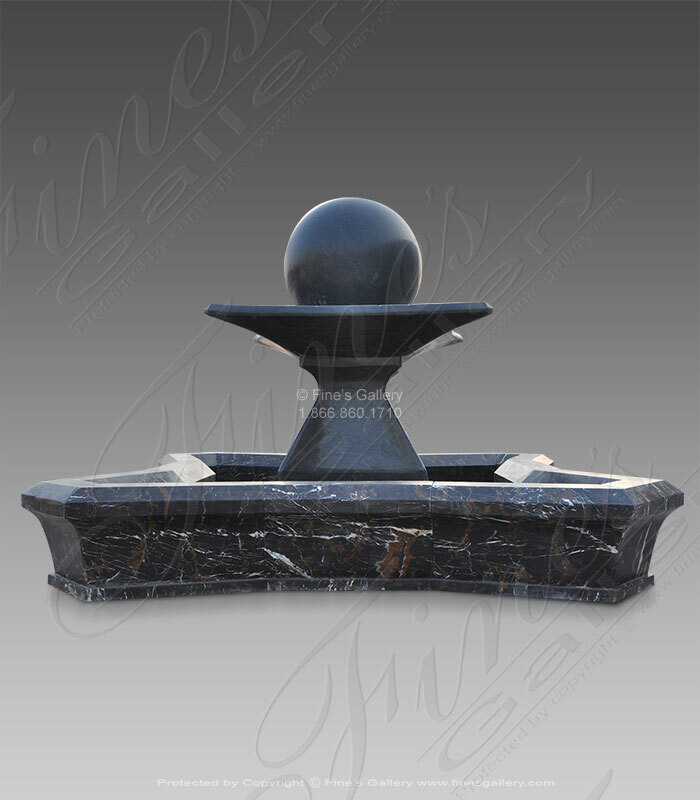 Dimensions: H: 43" W: 37.5" D: 37.5" View Colors Call Us! 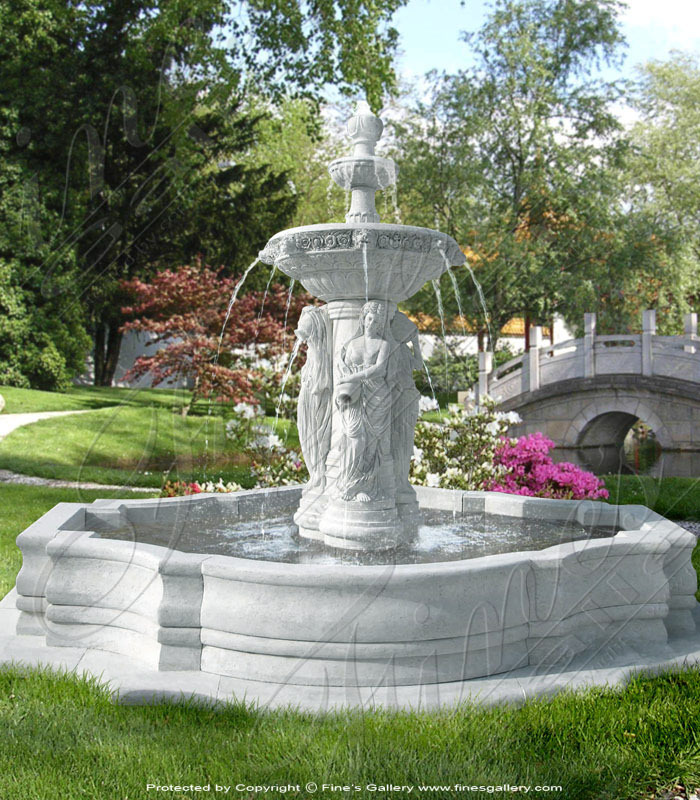 A stunning kashmir white fountain. 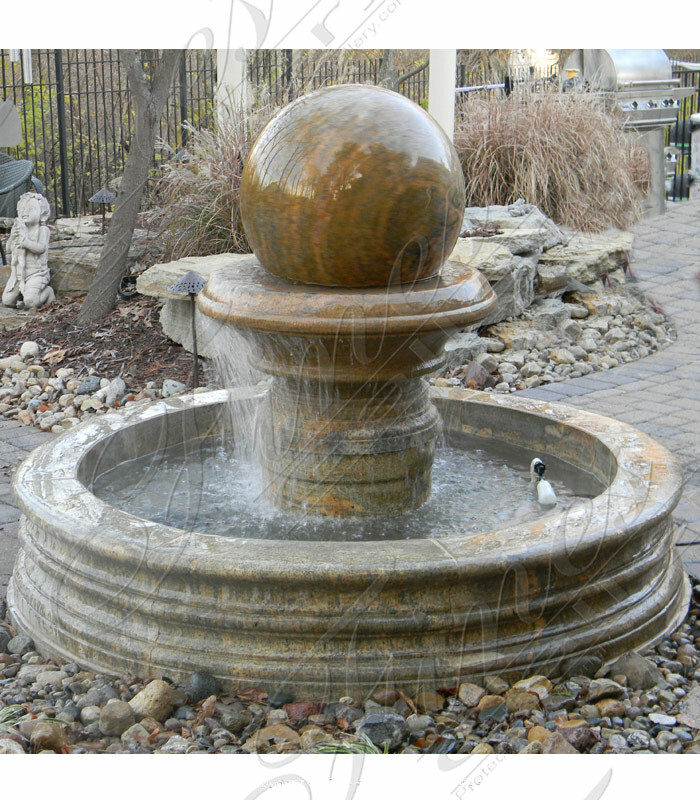 This contemporary granite fountain comes with granite pool, floor and pedestal. Adjustable flow for either a soft sound or flow at a high rate for lots of visual and sound effect. Dimensions: H: 71" W: 72" D: 72" View Colors Call Us! 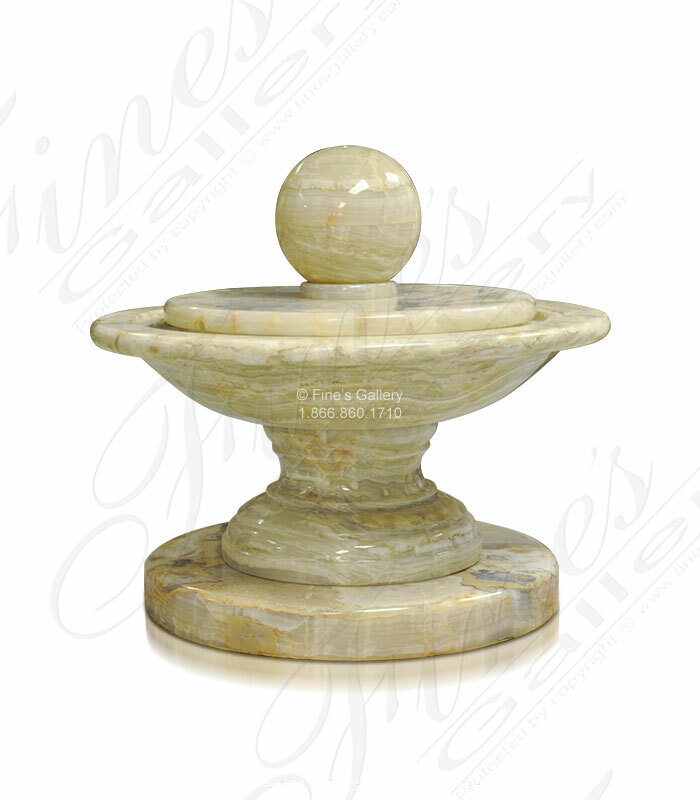 This amazing white onyx fountain features a sphere which is cored out for water flow. 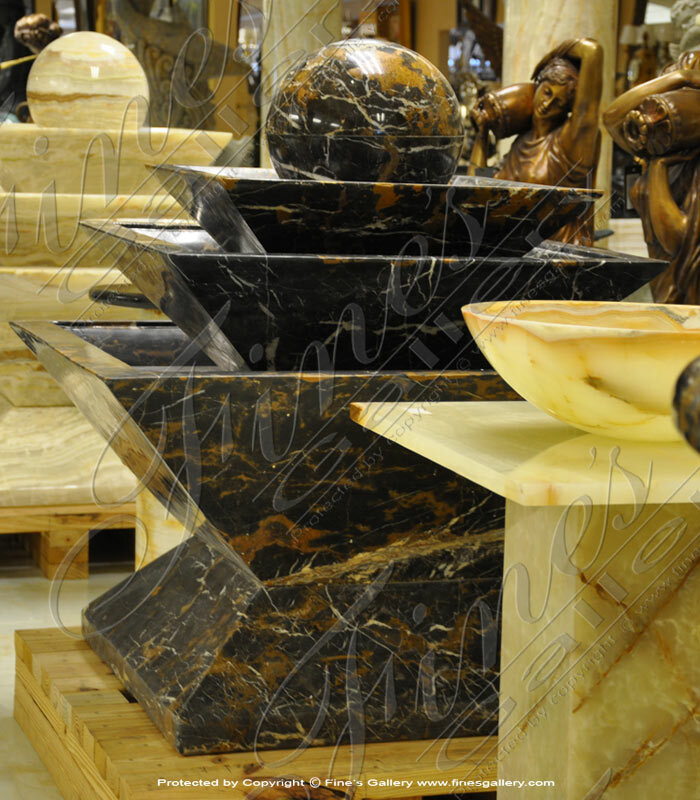 Add lighting to feature the amazing translucent effect of natural onyx! 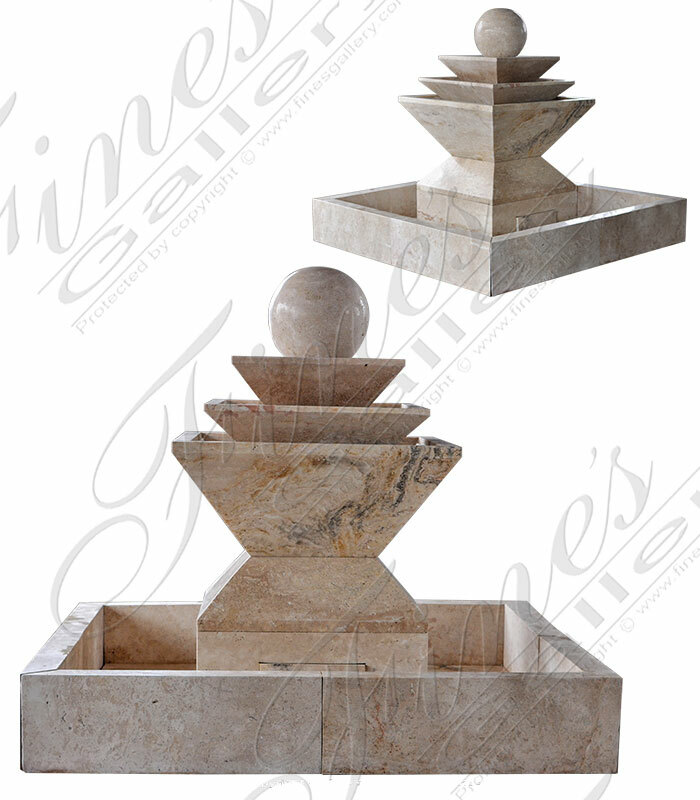 Dimensions: H: 36" W: 40" D: 40" View Colors Call Us! 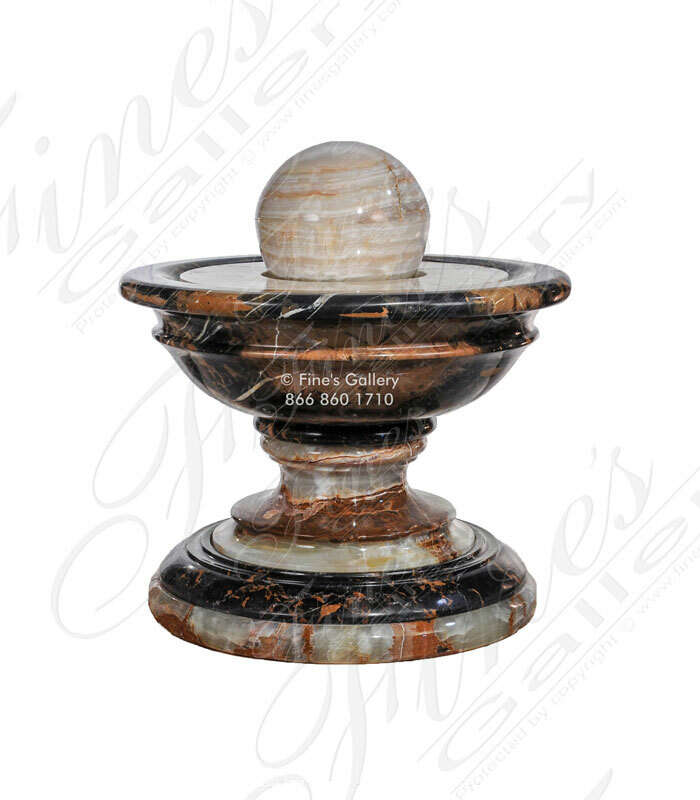 This modern marble sphere fountain features two tones of light cream marble and honey onyx. 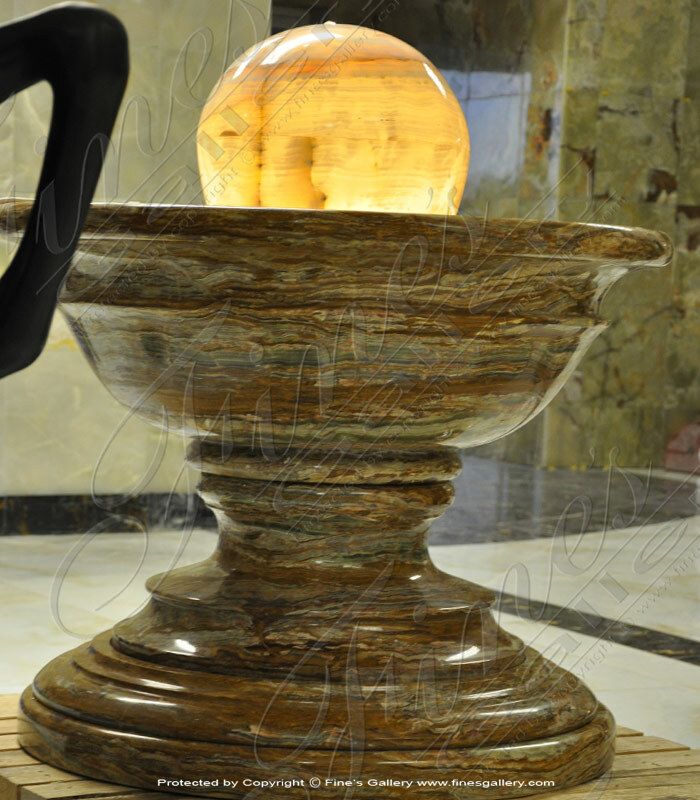 Water will flow from the top of the sphere and flow over the surface of the honey onyx. 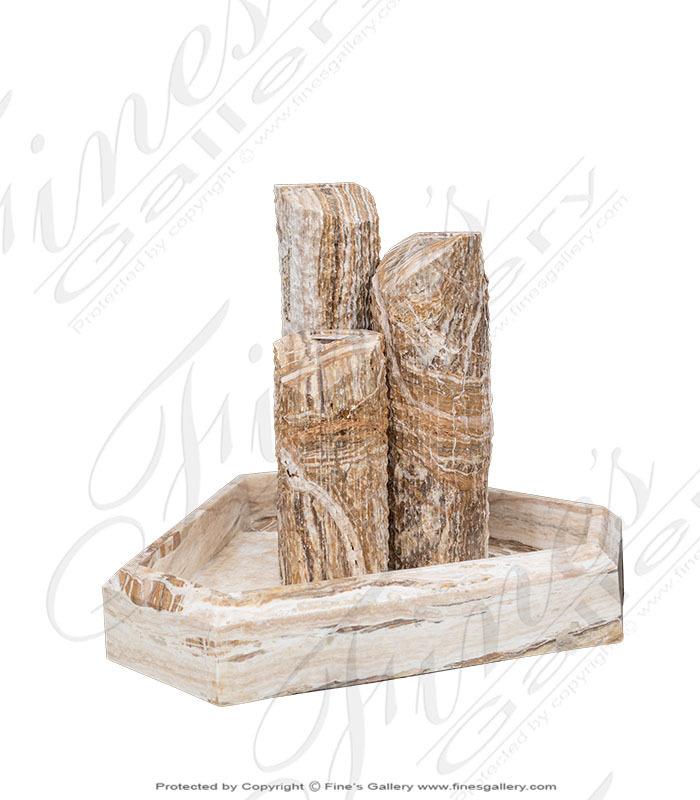 A unique design exclusively through Fines Gallery of Bonita Springs FL. 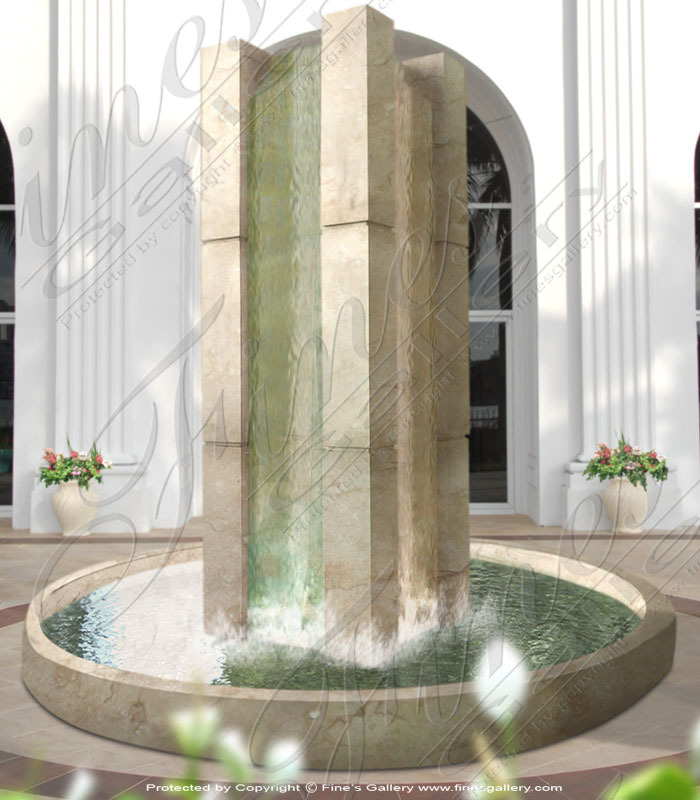 Dimensions: H: 51" W: 72" D: 72" View Colors Call Us! 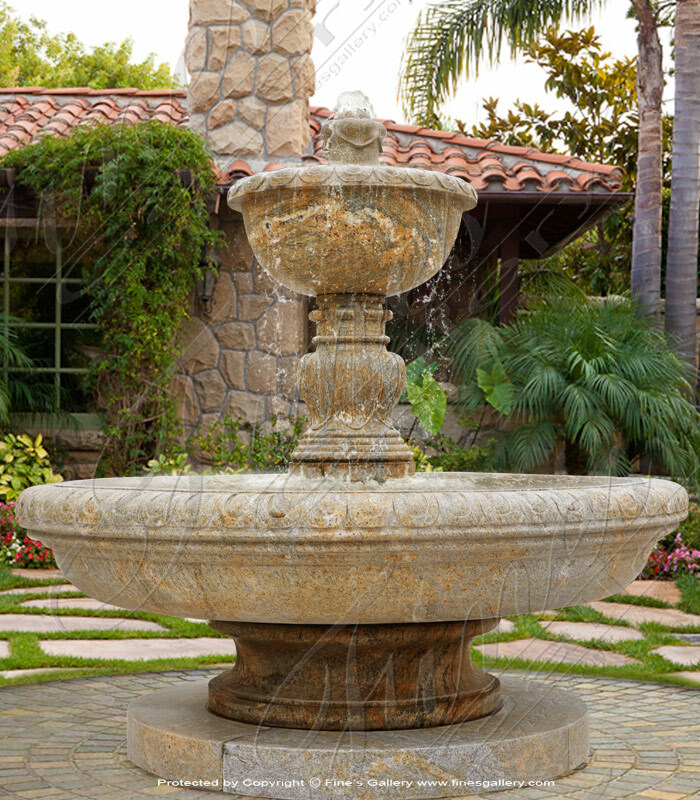 A Transitional Tuscan Beige Fountain carved from an old world rustic stone. 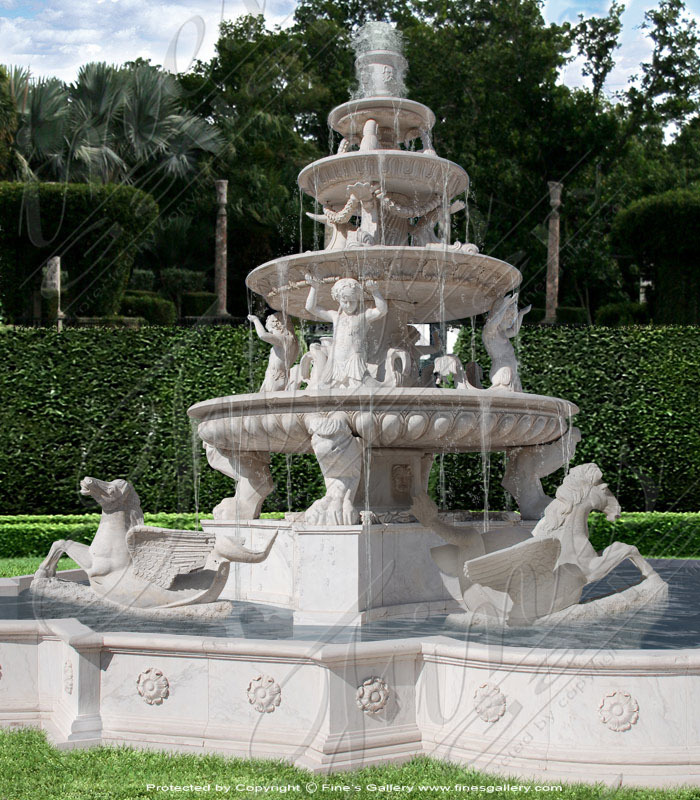 Our design experts are standing by to create the fountain of your dreams. 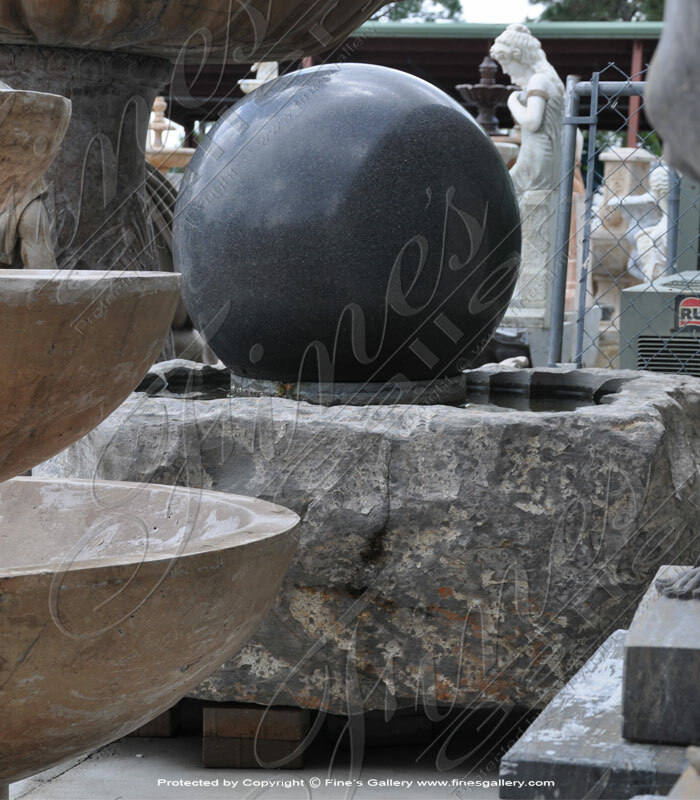 We have supplied the entire United States with our natural stone creations. Customize today. Dimensions: H: 65" W: 72" D: 72" View Colors Call Us! Dimensions: H: 50" W: 74" D: 74" View Colors Call Us! 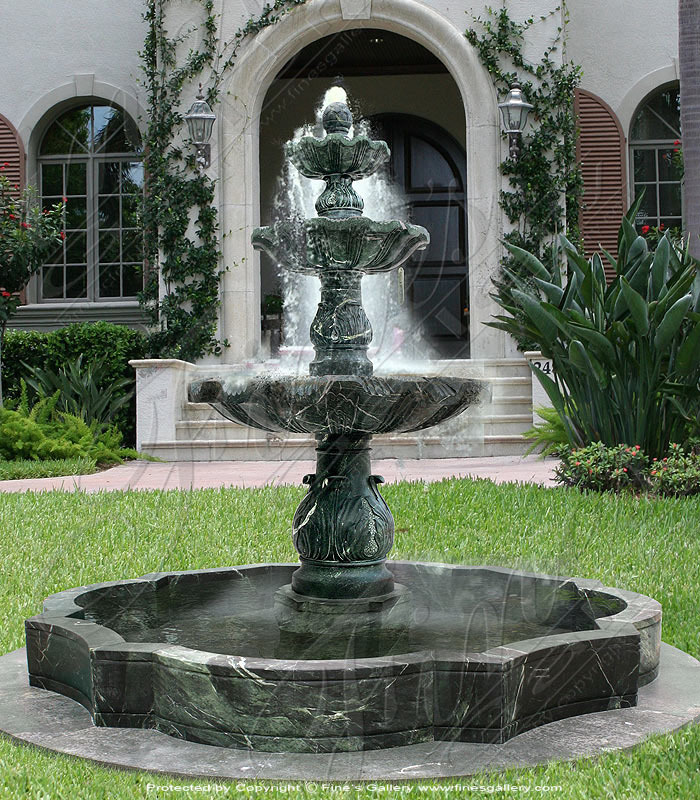 This amazing fountain features two tones of natural onyx. Water bubbles out of the central sphere. 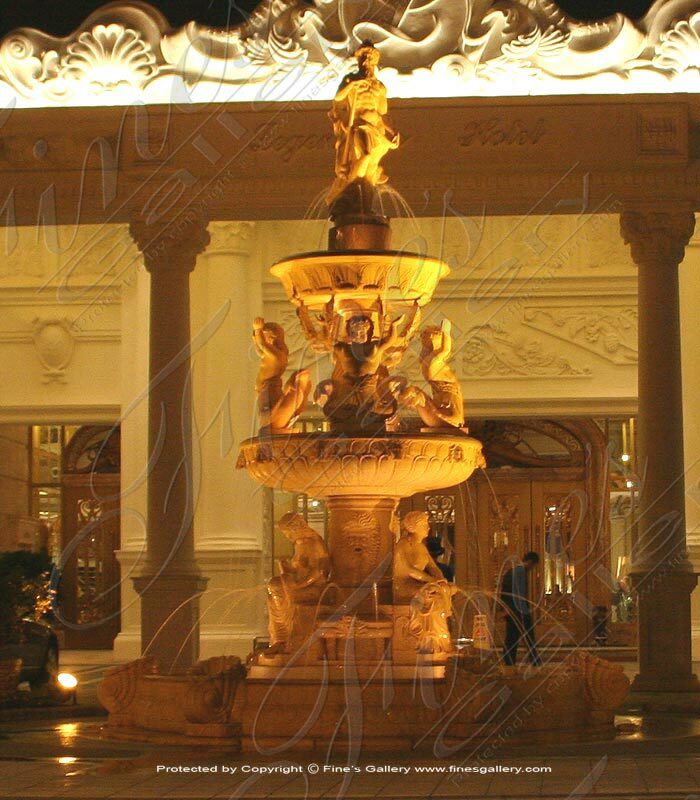 The hollow sphere and thin white onyx cylindrical pieces all allow for translucent light to shine through making this an amazing light feature as well. 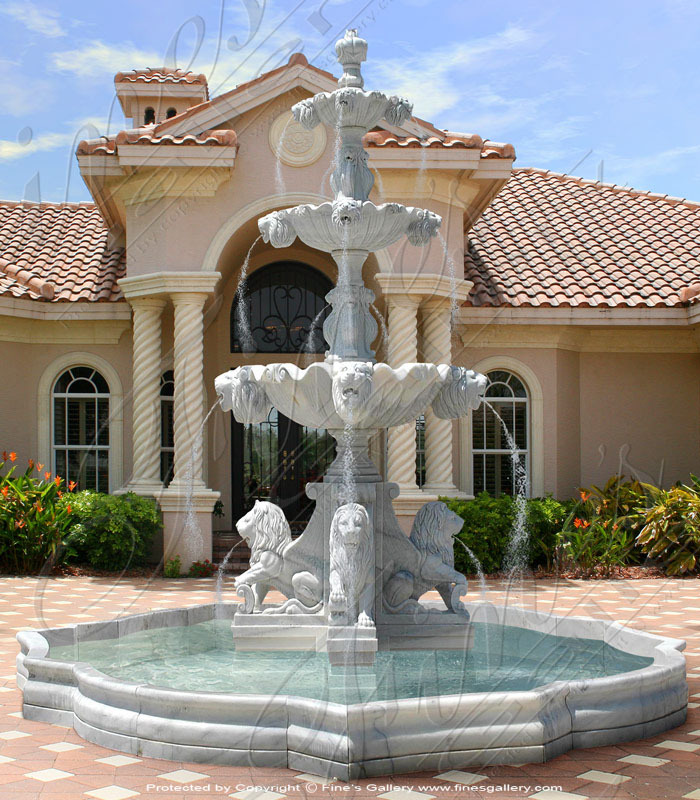 Dimensions: H: 39" W: 38" D: 38" View Colors Call Us! 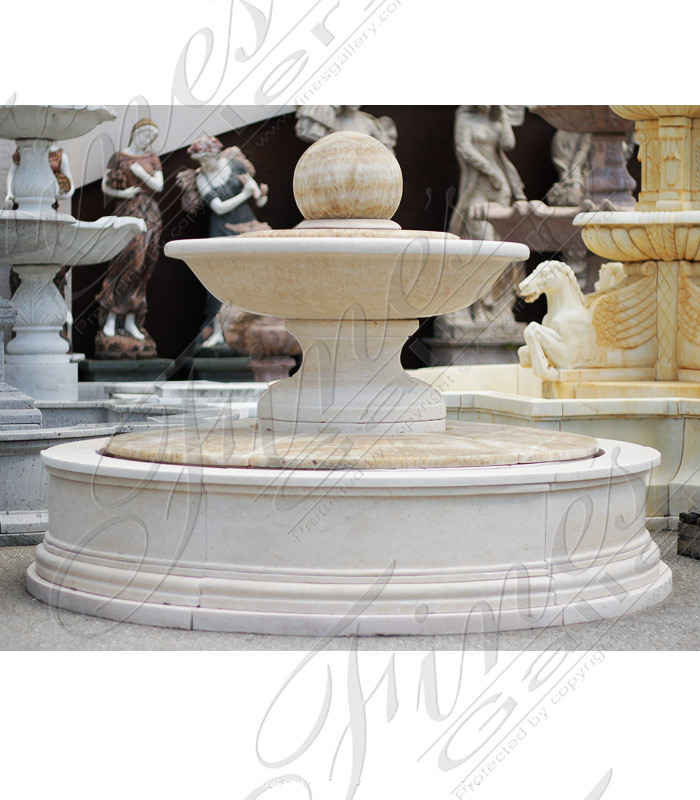 Dimensions: H: 40" W: 37.5" D: 37.5" View Colors Call Us! 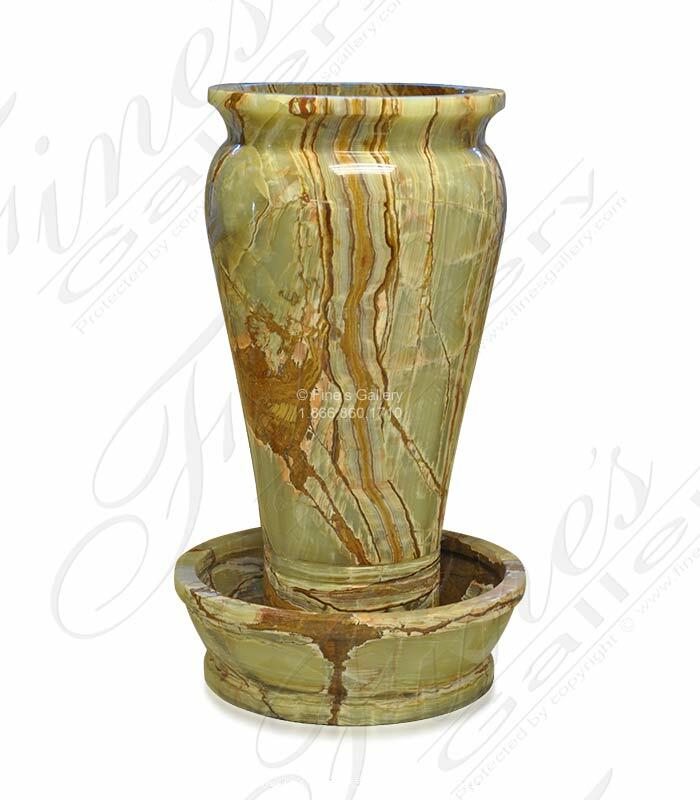 Dimensions: H: 46.5" W: 36.25" D: 36.25" View Colors Call Us! 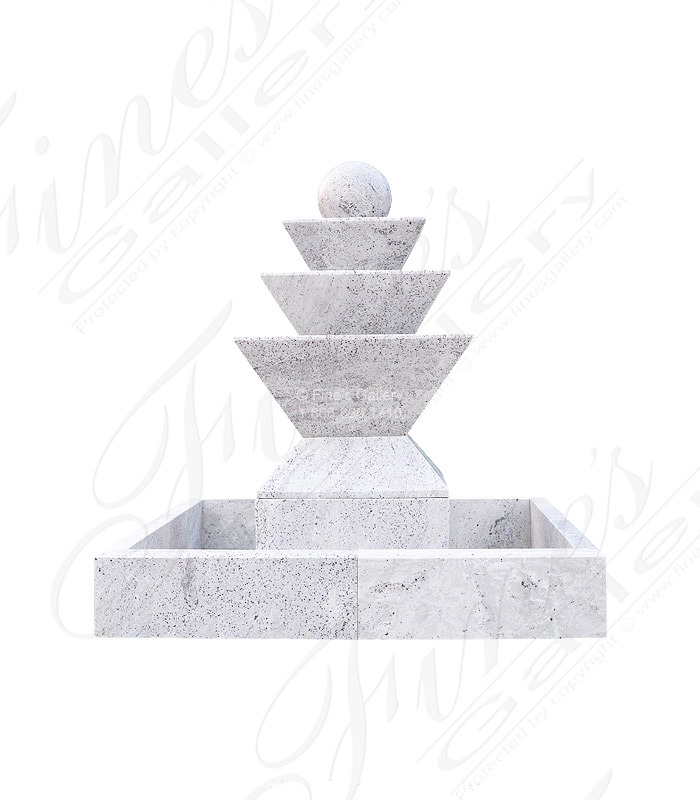 Dimensions: H: 50.75" W: 29.75" D: 29.75" View Colors Call Us! 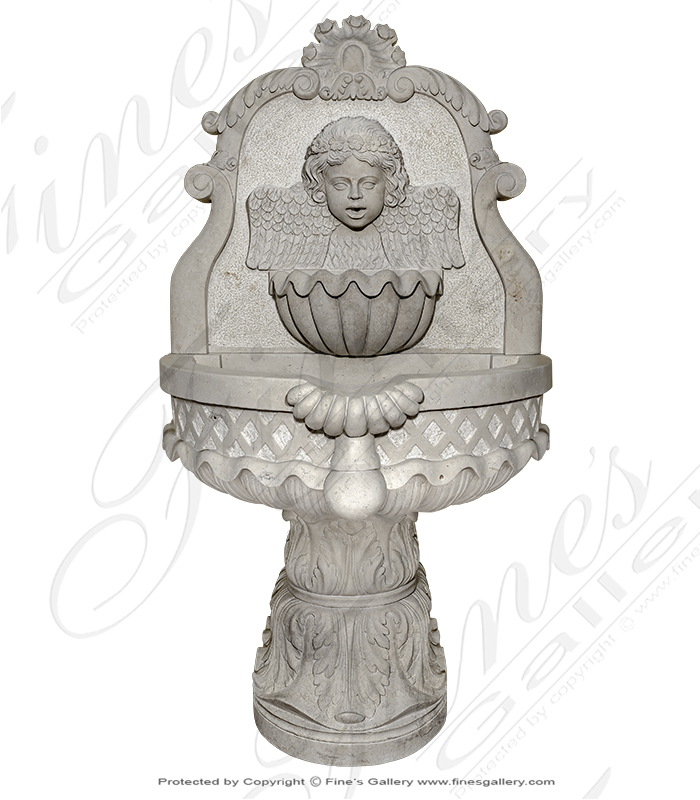 Dimensions: H: 55.25" W: 48.5" D: 43.25" View Colors Call Us!